I was watching a YouTube video the other day and one of the guys had a hoodie on that I really liked the look off - and the quality of the video was good enough for me to pause and zoom in so I could get the make off the zipper - I could be a private investigator lol). So I visited the website and fell in love with their clothes. They are called OnePiece - most of the clothing is Jumpsuits (or onsies as you might know them) and they also have a small range of hoodies, t-shirts, vest and other items. You can check out the full range HERE. This was the hoodie I saw on the YouTube video. The reason I love these hoodies as much is because the zipper is on the hood too! I also like that it's a plain grey with a hint of black and not too 'colourful'. I've been a big fan of these for years - although I only have two as I only wear them around the house. However this is very colourful (compared to the hoodie) and I really like the design and colours on this. This is a very unusual hoodie and you don't really see many of these longer length types around the UK. I think this is more a US thing. That doesn't bother me though. I like the idea of a longer length one and this would probably be part of my first purchases if I buy anything. I never really used to wear vests but I'm starting to fall in love with them. I had a bit of a shopping spree in H&M last year when they had a summer sale during Winter to get rid of their excess summer stock and I went a bit crazy and bought lots of vests. They're comfortable, not too constricting and there are thousands of designs. 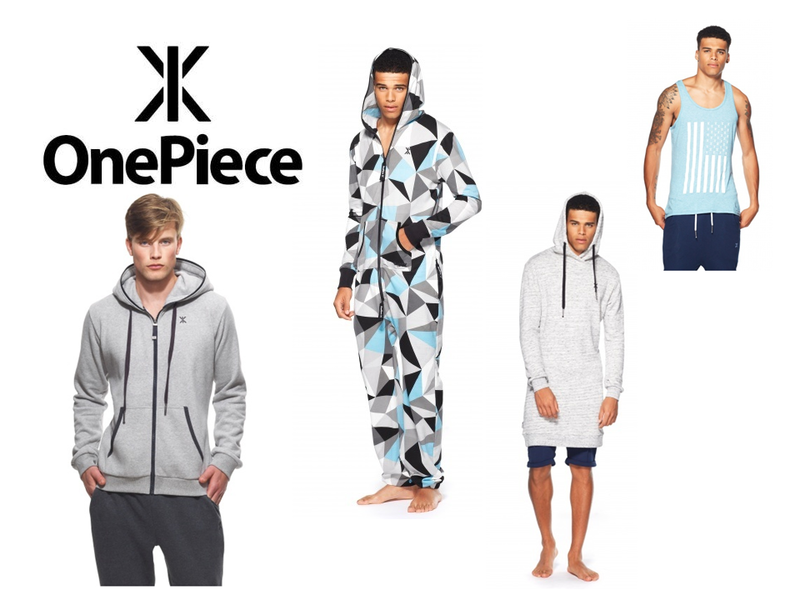 Let me know if you have ever heard of OnePiece - as I said it's more of an American company so I don't think it's very well known in the UK - but they're worth checking out!